“I hope that I can be that go-to-guy in the choir room that everybody can lean on if they’re feeling sad or they could vent to. But also a guy that would fight for their friends and really look out for them. [But] he also has emotions, too. He’s not perfect. He’s got skeletons in his closet that he’s just so used to getting into his self that he doesn’t have anyone to vent to. He just loves for people to vent to him but he has his own stuff going on. So you don’t know what’s going on at home, what his personal life is like and then eventually it comes out and you see that he is someone with faults and vulnerabilities and sometimes he just wants to be alone because he has things in his life that bother him. So I definitely would love to be that go-to-guy but with different levels but different from Finn. Not the same guy and I don’t think anybody could replace Finn." 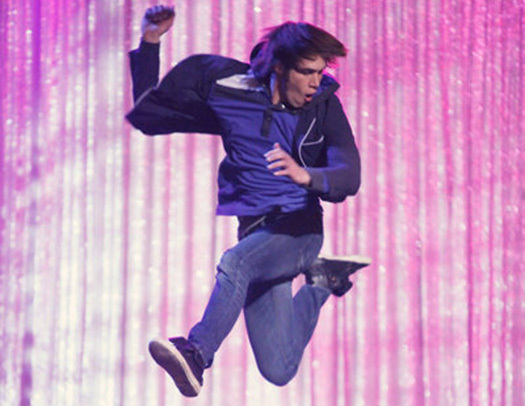 Tune in next season when Blake Jenner joins the cast of Glee on Fox.